Sept. 29, 2017, 9:05 a.m.
Before I say who I think will be at Bonnaroo 2018, let us know who you want to headline the 'Roo this year! You can select up to four headliners you want to see. Sadly we are months away from being back on the farm for Bonnaroo. The Bonnablues are real right now, so what better time to speculate on the Bonnaroo 2018 lineup? This article will go over my official predictions for the Bonnaroo 2018 lineup, as well as some other acts I think are in play. For the record, I have no insider information - I am just like you: a Bonnaroo fan who likes rumors and guessing who will be on the farm in 2018. As tour dates and things leak I will keep this updated with all the latest buzz. Let's start with Bonnaroo 2018 headliners, and then move onto subheadliners / highly billed acts. 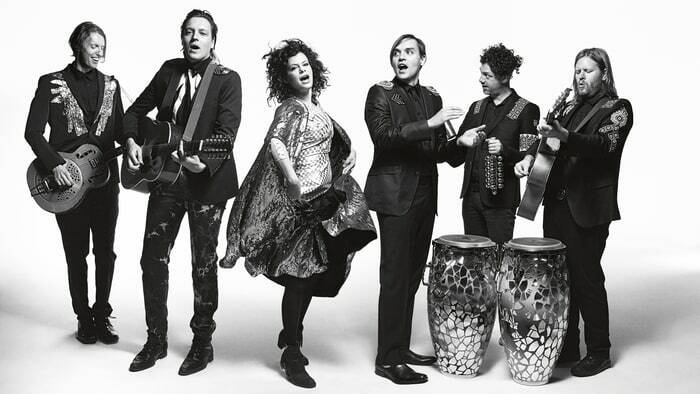 I am fully expecting Arcade Fire to be on the 2018 festival circuit as part of their Everything Now tour. They announced months ago they were planning a massive tour that would extend until April 2019. Last year they spent the summer playing European festivals, and this year I am expecting many U.S. Festivals. Additionally they are out for Coachella this year based on tour dates, which makes me more suspicious that they will play Live Nation festivals in 2018 and end their tour with Coachella in 2019. It's been years since they have played Bonnaroo and I could see 2018 being the year they make their return to the farm. Bonnaroo almost always has an older act as a headliner. Bonnaroo 2017 had U2, 2016 had Pearl Jam, 2015 had Billy Joel and 2014 had Elton John and Lionel Richie. I could go on but I believe my point has been made. 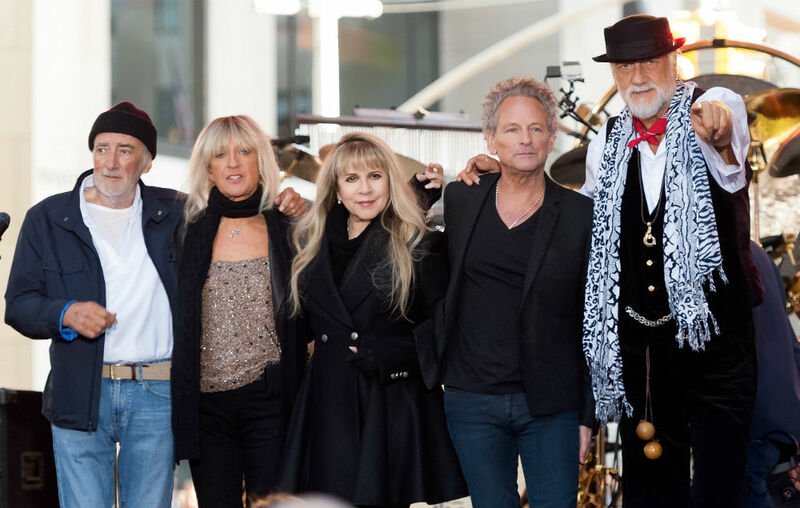 It was reported last June that Fleetwood Mac was preparing for a tour in 2018, beginning in June. Bonnaroo makes a lot of sense as part of this tour, and would be a great get for the festival. I've made this case for a few other Live Nation music festivals, and the same case can be made for Bonnaroo. Live Nation recently signed Jay-Z to a massive exclusive contract, which only makes me think they plan to put him to work in 2018. He headlined one of their festivals in 2017 (Austin City Limits) and I fully expect him to be on the top of the billings for a lot of 2018 festivals. Jay-Z last headlined Bonnaroo in 2010, making it essentially an eternity since he has been on the farm. There's always a hip hop headliner and in 2018 I am predicting it will be Jay. The Arctic Monkeys last played Bonnaroo in 2014, which could be a little soon for them to return this time as a headliner, but I think this could happen. They have announced they will have a new album out for 2018 and an accompanying tour. Second, if my other predictions are accurate Jay-Z and Fleetwood Mac are going to cost Bonnaroo a healthy chunk of change. The reality is festivals work with a limited budget and Arctic Monkeys are a slightly cheaper headliner than someone like Foo Fighters or other giant rock act. I see them fitting in nicely as a potential Thursday headliner and an awesome way to kick off Bonnaroo. Ultimately those are just my predictions, but there are a ton of other potentials out there for Bonnaroo 2018. These are some of the other potential headliners for Bonnaroo 2018. Kendrick Lamar - Last headlined in 2015, so it's probably too soon but he is coming off of what is potentially the best album of 2017. It wouldn't be unheard of for Kendrick to headline again so soon, but I think perhaps 2019/2020 is more likely. Foo Fighters - They just released a new album and will be on a massive tour through 2017 and 2018 most likely. They would be a legitimate #1 headliner for Bonnaroo. Surprisingly they have never played Bonnaroo, which is mind blowing given the fact that it feels like everyone has eventually played Bonnaroo. Jack White - New material allegedly is coming in 2018 and he tends to headline festivals every time he has new albums. His 2014 set is in the Bonnaroo legendary set category so he would be a welcomed returning headliner to the farm. The Chainsmokers - I've read rumors they are going to headline some festivals in 2018, and Bonnaroo recently has been trending in the direction of more EDM. There hasn't been an EDM headliner since 2015 with Deadmau5, but I would consider this a possibility in 2018. For the record, I hope I am wrong but I do see it as a possibility. Frank Ocean - I hate predicting Frank Ocean will play anything as he is notoriously crazy when it comes to playing shows he commits to. That said, he did play a couple of Goldenvoice festivals in 2017 (Panorama and FYF Fest) so he could do Bonnaroo in 2018. Eminem - Slim last headlined Bonnaroo in 2011 and allegedly has a new album coming in 2018, although I heard the same thing for 2017. Who knows if he will actually tour but he has been known to play Live Nation festivals fairly regularly in the past, so Bonnaroo would certainly be in the mix if he tours. Childish Gambino - I know a lot of people propose this as an option, so I will throw it out there. I don't see it as he seems more focused on non-music ventures but given the fact that he will be retiring from music he would certainly headline on his way out. Imagine Dragons - Already announced as a Lollapalooza South America headliner, which is a Live Nation Festival (as is Bonnaroo). Gorillaz - This would be a magic set on the farm, and could be in play. The Gorillaz could possibly be having another album coming soon and are touring through at least the beginning of 2018. They have been announced for some Live Nation 2018 festivals, so they could be in play to continue through the 2018 summer into Bonnaroo. Of course it's not all about the headliner. Here are some of the acts that would be higher up on the billing for Bonnaroo 2018 I see as likely. Sadly some great names are out for Bonnaroo 2018 based on conflicting tour dates / concerts. Technically they aren't 100% eliminated but I'd say they are very unlikely. Those are all my predictions for Bonnaroo 2018. Who do you want to see at the Bonnaroo 2018? Think I missed something? Let us know below in the comments. As I said I will update this as more tour dates are announced and things begin to leak. Don't worry guys, we will all be reunited on the farm soon enough!